Welcome to the inaugural post of our new blog! We’re hoping to update it at least twice a week with news, projects, and other interesting information. 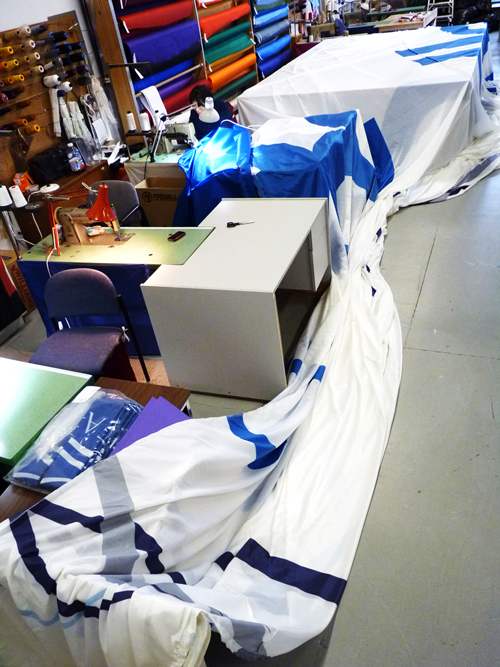 What better way to kick things off than with the mega-flag we just put together for Vancouver’s Whitecaps. 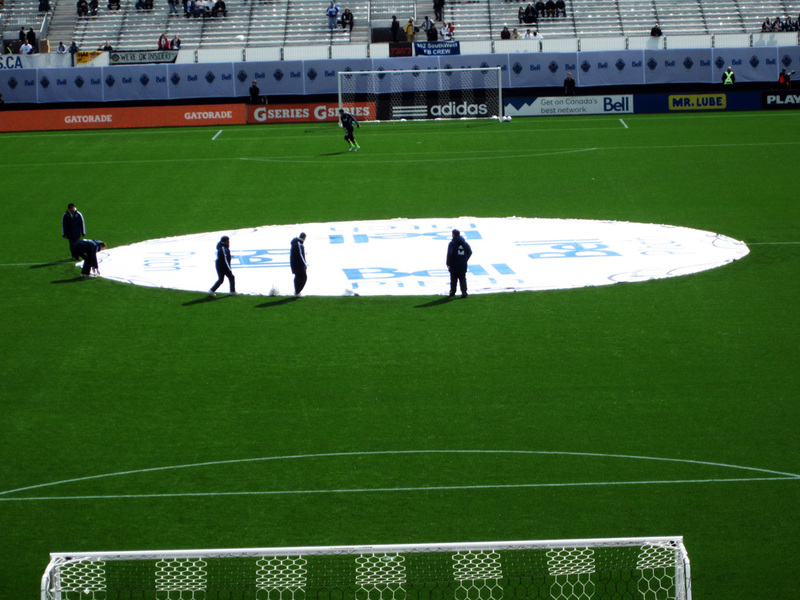 The circular white flag with Bell’s logo is 64 feet in diameter and made its own debut on March 19th at Empire Field where the Whitecaps are playing until their new home at BC Place is completed. Our production team assembled it from 12 separate printed panels. • Do we have enough material on hand to print and sew this in 3 days? • Do we have time enough to get this done? • Do we have space to properly fold this flag before delivering it? Despite the obstacles and short turnaround time, the flag was delivered on time, and it will continue to be seen at future matches. In addition to that flag, we also made the Canadian flags flying at the venue as well as the street banners near the field. Welcome to The Flag Shop Blog. You are currently browsing the The Flag Shop Blog blog archives for March, 2011.